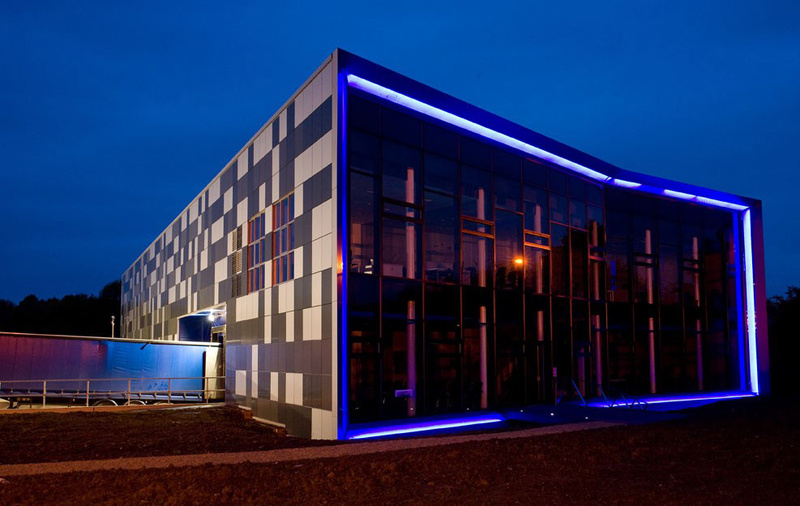 The powder coated aluminium picture frame surrounding the office glazing is illuminated at night to create a stunning visual effect. Winner of the Ash and Lacy 2008 commercial category and best overall. Finalist in 2009 NFRC Awards for cladding.